Jean Jacques Rousseau, who categorically believed in the existence of vampires. Persistent legend that the young Leonardo De Vinci was so strong he could — and frequently did — straighten horseshoes with his bare hands. Charles Dickens, a hyper-manic walker who sometimes went twenty-five miles at a headlong pace. A walk? What on earth for? Whereas William Butler Yeats often used to walk the streets of Dublin. Talking to himself incessantly. Ivan Goncharov, clinically deranged the last thirty years of his life, who insisted until his dying day that every word Turgenev published had been stolen from him. The red and roundy sun, said the insane and charming poet John Clare. Truman Capote, who wrote lying down. 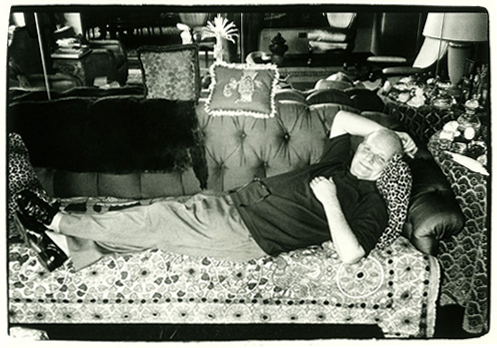 Truman Capote gets horizontal to write. 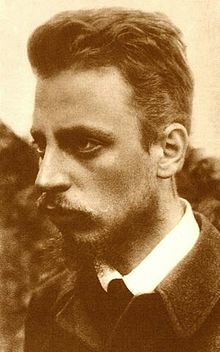 Rilke, who wrote standing up. Lewis Carroll, who wrote standing up. Victor Hugo, who wrote standing up at his lectern. Completely naked. Nabokov, who wrote standing up — or while lying down in the bathtub. Or in bed. Celerity should always be contempered with cunctation, said Sir Thomas Browne. Knowledge is not intelligence, said Heraclitus. Walt Whitman published Passage to India in 1871. E.M. Forester published A Passage to India in 1924. William Burroughs who accidentally killed his wife Joan Vollmer while trying to shoot a glass off her head in the style of William Tell. Philosophy begins with Thales, said Bertrand Russell. Thales, on figuring out how to measure the height of the Great Pyramids: Simply by measuring their shadows precisely when my own shadow matched my height. Katherine Anne Porter: pretty and precise, but not prolific. 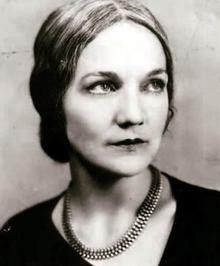 Short-story writer Katherine Anne Porter who took twenty-two years to write Ship of Fools, her one and only novel. A tavern chair is the throne of human happiness, said Samuel Johnson. Disgusting eating habits, there or elsewhere, Boswell said of his hero Samuel Johnson. It is an aspect of probability that many improbable things will happen, Aristotle said Agathon said. No great talent has ever existed without a tinge of madness, Seneca says Aristotle said. For the butterfly, mating and propagation involve the sacrifice of life — for the human being, the sacrifice of beauty, said Goethe. Goethe was seventy-eight before he started Part II of Faust. Plotinus didn’t start writing until he was fifty-years-old. In his late twenties, Bertrand Russell gave away on principle all his considerable inherited wealth — and earned his own way thereafter. Anoied. Realy. Excelentely. Expences. Affraid. Cann’t. These being a few of Wittgenstein’s English spelling peculiarities. There was a period of time when Rossetti, Swinburne, and George Meredith all shared the same house in Chelsea. In Coriolanus Shakespeare mentions Cato, despite the fact that Coriolanus is set three centuries before Cato ever existed. Written with the imagination of a drunken savage, Voltaire described Hamlet as. The greatest lesbian poet since Sappho, Auden described Rilke as. At age nineteen, the poet Percy Shelley was expelled from Oxford for publishing a pamphlet on atheism. Robert Lowell, 1974 winner of the Pulitzer Prize for poetry, who once punched Pulitzer-Prize winning novelist Jean Stafford in the face and broke her nose. A good-natured man of principle, Pablo Neruda described Joseph Stalin as. A saint and a martyr, Ezra Pound described Adolph Hitler as. Oscar Wilde wrote Salome in French. That man has not lived who has never woken up in an anonymous bed beside a face he’ll never see again, and if he has never left a brothel at dawn feeling like throwing himself into the river out of sheer disgust, said Flaubert. Robert Heinlein: man after my own heart. It is true from early habit, one must make love mechanically as one swims. I was once very fond of both, but now as I never swim unless I tumble into the water, I don’t make love till almost obliged, said Lord Byron. 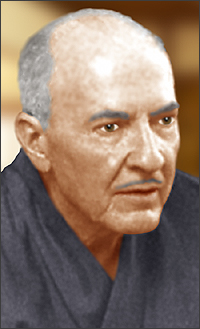 It is better to copulate than never, said Robert Heinlein. Brilliant, yet how is Rainer Maria Rilke, a “lesbian poet”, when he is a man? And I keep searching for that Goethe quote in German and cant seem to find it. But I love it. Hello Serindipitie. I think Auden was joking. I think he was in essence calling Rilke a woman. Thank you. I love that Goethe quote too. It’s nice to see you here. Thank you for dropping by.